König von England, Schottland und Irland (1633-1701). 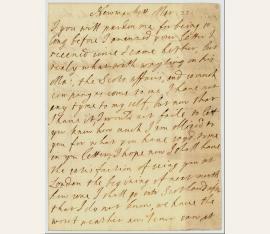 Autograph letter signed ("J"). Newmarket. 1½ SS. auf Doppelblatt. 4to. Mit eh. Adresse (Faltbrief) und Siegel. "For my Neece the Countess of Lichfield", i.e. 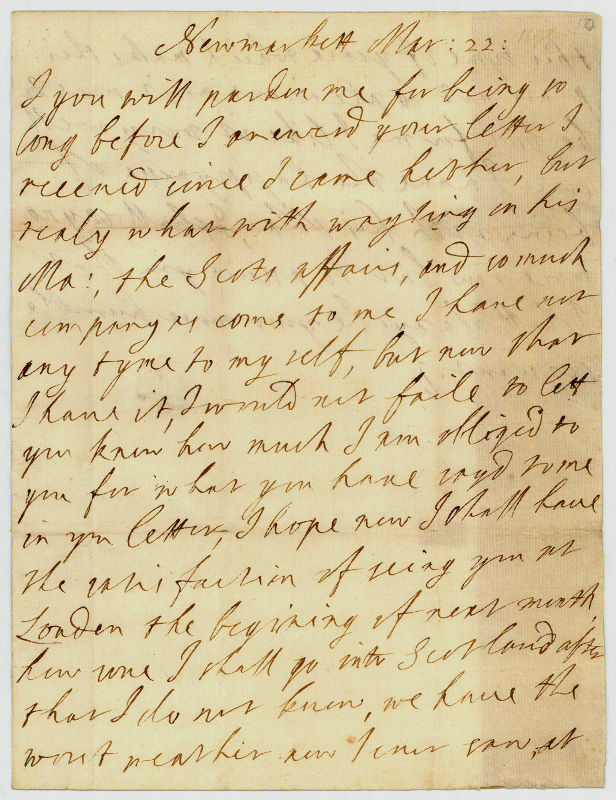 Charlotte Lee, Countess of Lichfield, 1664-1718, previously Lady Charlotte Fitzroy, illegitimate daughter of Charles II and his mistress Barbara Villiers, 1st Duchess of Cleveland, apologizing for not having answered her letter earlier, but "the Scots affairs, and so much company is come to me, I have not any tyme to my self". - Slightly browned due to paper, traces of folding; address leaf with traces of mounting.